Cedek offer professional Water and Legionella Control Risk Assessments & Testing on all hot and Cold Water Systems and all Cooling Towers & Evaporative Condensers to help compliance with current UK regulations including Health & Safety at Work Act, COSHH and ACOP L8. There have recently been a number of high profile cases of Legionnaires disease. All businesses have an obligation to take the correct measures to protect their staff, customers and the public against the risk of Legionnaires disease. The Code of Practice and Guidance called L8 was designed to help businesses meet their legal obligations. Legionnaires disease has become a major health and safety issue. Cedek have the knowledge and experience to ensure that our clients comply with Government legislation. Cedek can provide risk assessments, laboratory testing, remedial works and safe treatment programmes to protect against Legionella. Regulatory requirements (ACOP L8) specify that employers and those with responsibility for the control of premises should carry out a risk assessment on all water systems. This is to establish the risk of proliferation of Legionella bacteria. Cedek Engineers conduct Legionella risk assessments and provide instruction on how to satisfy ACOP L8 requirements. Cedek’s risk assessment includes identifying and quantify relevant wet systems plus the equipment holding and circulating water, assess the potential for Legionella growth, identify who is at risk, assess the potential for bacteria transfer, quantify and prioritise the risks and determine suitable means of control. Cedek’s assessments include written reports, photographic supporting evidence, water system schematics and a water assets register. After analysing the system Cedek will if required suggest a programme of management and monitoring. Cedek present the findings in a full documentation with recommendations and action to be taken. 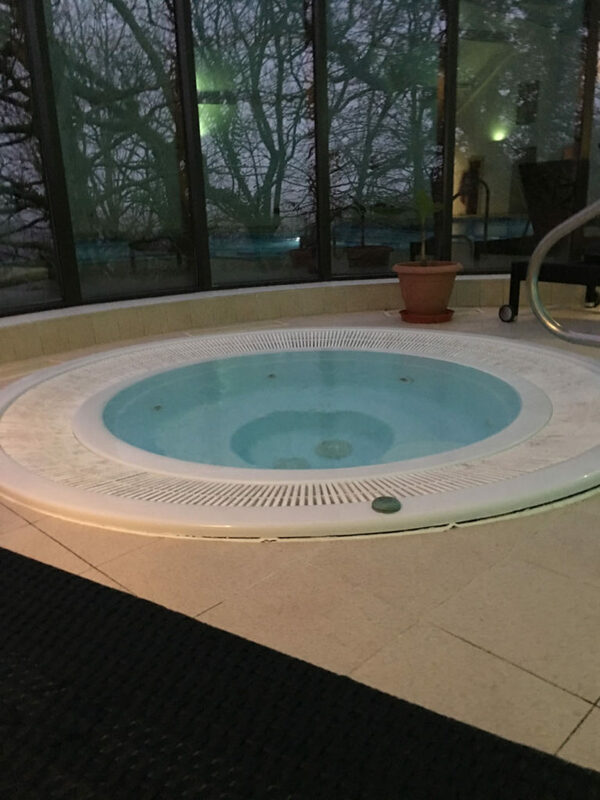 The image below shows a hot spa from a North Devon 5 star hotel we service under regular contract.